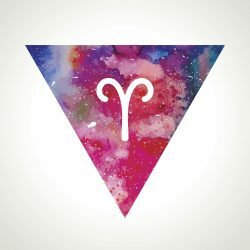 Beautiful Aries, you’ve got The Hierophant this week so you’re likely to experience an influx and downpour of sacred wisdom and spiritual insight from within and from the cosmos. You’re being guided to think about your calling and what your vocation is this week. You are likely to have many experiences that feel a little eerie and feel synchronicity at work, you can expect to feel as if an unseen powerful force is guiding you. The Hierophant is telling you that you’ll receive answers to all the questions you seek this week, you could be searching for answers within, you’re being asked to trust the signs and symbols, know that they will lead you to the answers you seek. You could experience a boost in your career, it could feel like your work is infused with magic, you may feel that you know with all of your being that you are doing what you came to this world to do. You could be called upon by others this week, your self-discipline and spiritual life are the source of inspiration to many, others in your life may seek your counsel and advice, you are embodying the magic and power that The Hierophant signifies. 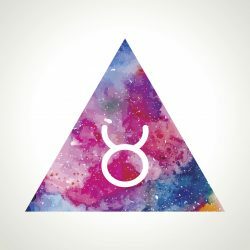 Beautiful Taurus, you’ve got The Wheel of Fortune this week so life could be beginning to feel and look very different for you. The Wheel of Fortune is a good omen, it’s associated with good luck and prosperity. You can expect to feel the wonderful and magical effects of manifestation this week, you’re likely to be already feeling that things are changing and evolving. The Wheel of Fortune is guiding you to embrace change and create the life you love and desire. You may feel some urges to discover more about yourself and the meaning of life. 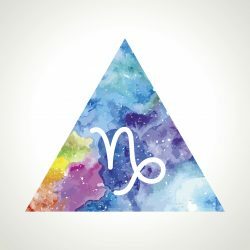 You have some amazing opportunities this week lovely Taurus, peeking behind the curtain of conscious awareness is the gift of this card, you could reveal some previously hidden patterns in your life. The Wheel of Fortune is reminding you that you’re working with the universe and cosmos to create your life, you have amazing opportunities and some positive changes to look forward to this week. 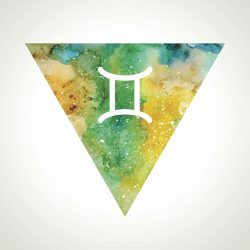 Wonderful Gemini, you’ve got the King of Wands this week so you’re likely to be experiencing some entrepreneurial and leadership vibes, this is the week to amp up your game, step into your power and give your ideas life, confidence and ingenuity are likely to be oozing out of you this week. The King of Wands is powerful, he’s asking you to trust in your skills and capabilities, your ideas and visions could benefit others and the world, go forth and take risks this week by sharing your ideas with a group, or even better the whole world. You could experience some restlessness and eagerness to go out there and do something brave and bold this week. You’re being pushed forward and urged you to be the bright burning star that you are, unleash your potentials and amazing ideas, we need them and you! Lovely Cancer, you’ve got the Six of Pentacles this week so you’re likely to be feeling the love and abundance. This card is associated with being able to trust in life’s bounty, the Six of Pentacles symbolises generosity and goodwill. You could be the recipient of someones generosity and kindness, or you could be the one that is feeling like you want to be generous and express your thankfulness. 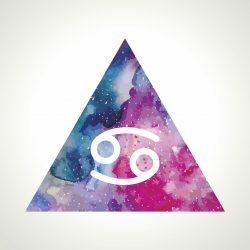 This week it’s likely that you’ll be feeling good about life, giving and receiving are likely to feel balanced, if you have been experiencing some setbacks recently in regards to your work, a project or financially. The Six of Pentacles is like a gift from the cosmos, you can expect a shift in your mindset, looking back to the past you’re likely to realise that difficulties you’ve experienced have made you stronger and a lot more grateful for what and who you have. Wonderful Leo, you’ve got the Six of Swords this week so it’s likely that you’ll experience some much needed mental reprieve and rest. You could feel the benefit of moving towards new fulfilling and more positive experiences. You could have recently experienced a stressful time of uncertainty and worry, if you have, this period that you’re moving away from could have knocked your confidence a little and perhaps it may have increased some self-doubt. The Six of Swords is giving you the push you need to move away from the stress, strain and worry, this week you’re likely to feel like you’re finally moving towards brighter and happier feelings and experiences. 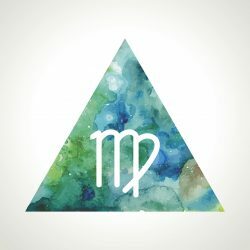 Gorgeous and wonderful Virgo, you’ve got the Four of Wands this week so there’s likely to be a celebration of some sort. A period of harvest and reward is likely to be experienced this week, you could find yourself realising that you have some fantastic resources both on an inner and outer level upon which you can draw and use effectively. The Four of Wands signifies a period where you can feel capable and ready to achieve your desires, you may experience a celebration this week where you receive an acknowledgement from your peers family and friends for achievement of a goal. This week holds many possibilities and potentials for you, the Four of Wands symbolises the stability and the strong foundations we need to build to help us to build the life of our dreams. Whether you decide to use the support network you have surrounding you or you choose to channel your own wonderful capabilities, you’re likely to be feeling supported by life, others and yourself. Enjoy this week of exciting and celebratory experiences. 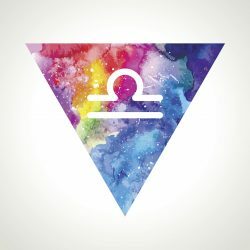 Beautiful Libra, you’ve got the Four of Cups this week so you could be feeling a little frustrated or bored about something. The Four of Cups is sometimes known as the card of divine discontent. You may be wondering how can something be divine and discontent, and perhaps how negative feelings can be associated with divinity. The Four of Cups is reminding you that frustrating emotions are treasures that reveal healing and meaning, your inner guidance system is urging you to change your circumstances. You could be experiencing some feelings of annoyance, boredom or frustration. Remember that when you feel things like this you are temporarily out of your natural state of alignment, the universe and the source of these feelings are huge indicators/signs that you want to change your life in some way. The Four of Cups is reminding you that you are the architect of your life and destiny, working with the cosmos you have the divine power to change and alter your life in positive ways. 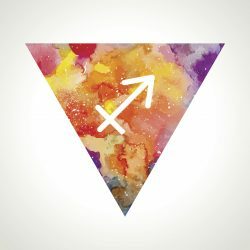 Gorgeous Sagittarius, you’ve got the Three of Pentacles this week so it’s likely that you’ll be feeling positive about material matters and perhaps you are celebrating your achievements. The Three of Pentacles symbolises a completion, have you been working on recently that is materialising? You may receive a form of recognition for all of your hard work and efforts recently. You’re doing so well, keep up the good work! You can expect some acknowledgement in regards to a project/work/home situation, the Three of Pentacles is asking you to keep it up and as the results are beginning to show and come to fruition. Even though you may be further that you wish to travel, the Three of Pentacles is asking you to acknowledge your successes and to celebrate when you can. 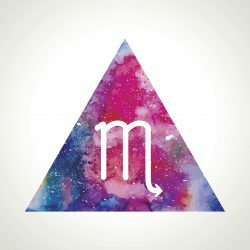 Beautiful Scorpio, you’ve got The Sun this week so you’re likely to experience the rays of sunshine in your life. We usually get this card after a time of uncertainty, this week you’re likely to be getting clear about your life and affirming the people you want to spend your precious time with. The Sun is bringing clarity to your mind, and it’s likely that you’ll have an increase in foresight and have greater clarity about your current circumstances and where you are heading. It’s likely that you have done some inner work and processed some hidden emotions that perhaps have been long-standing in your life. This week you can start to feel more optimistic and vibrant, when you allow The Sun to come into your life, you witness its illumination and you’re able to bask in the goodness of life, The Sun is asking you to shine and to enjoy your life as much as you can this week. Beautiful Capricorn, you’ve got the Four of Swords so there’s likely to be some stillness and healing this week. You may have gone through some upset recently and you may feel like taking some space away from the busyness of life and retreating within. The Four of Swords is associated with quiet and aloneness sometimes after a tricky experience, it’s likely that you need some time to heal and recuperate. The Four of Swords is asking you to lighten your load and create some time to just explore stillness. If you can create space to just be, you can allow healing to take place. This week you could find it easy to enjoy peace and quiet, therefore creating peace within and gaining valuable insight and guidance. 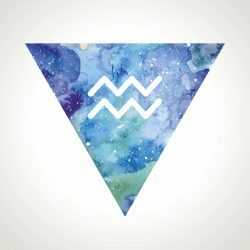 Gorgeous Aquarius, you’ve got The Fool this week so a beautiful new beginning is promised! You are standing on a cusp of a new adventure, can you feel the excitement brewing?! The Fool is the beginning of the tarot journey, it holds so much power and possibilities, you are likely to feel the bubbling energy of this magical card this week beautiful Aquarius. What is feeling new for you? What are you beginning? The Fool is reminding you to be brave and bold, you may be feeling excited and full of positive anticipation about something. Alongside those yummy feelings you could be feeling a little bit of nervousness and perhaps some trepidation, fear not though, as The Fool is guiding to you toward a brighter and broader life, take The Fools guidance and allow yourself to be drawn to what feels exciting this week, use your burgeoning and growing intuition as your guide. 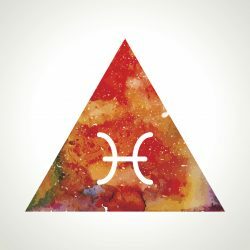 Beautiful Pisces, you’ve got the King of Swords this week so you’re likely to be hot with organisation, discipline and authority, these are themes for you this week and you’ll find you can handle your to-do list with panache and ease. 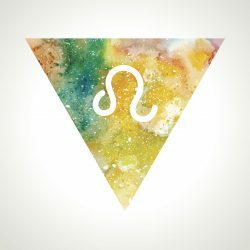 What projects are you working on currently? The King of Swords is telling you that anything that requires you to have focus and self-discipline will come easily to you this week. You could find yourself stepping into a leadership role or revving up your power to the next level in a particular way.